The driver of a large truck put many people's lives in jeopardy when he swerved multiple times to keep the driver of a pickup truck from passing him on a multi-lane freeway. The pickup driver is also a jerk for not backing off. 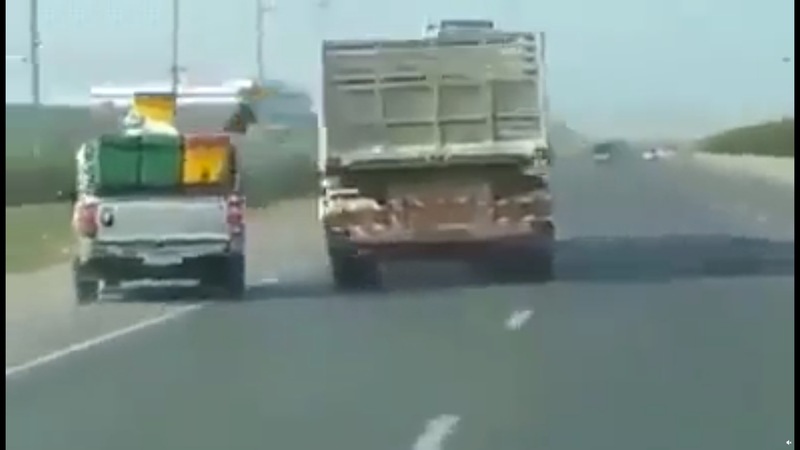 It's hard to tell what happens at the end of the video but it looks like the large truck runs the pickup truck off the road. For all we know, the drivers of these cars fighting to take possession of the middle lane of a freeway could be the nicest people in the world, beloved by friends, coworkers, and family members. But I doubt it.